Solve it (move onward) and don't cheat! The same goes for Slytherins! 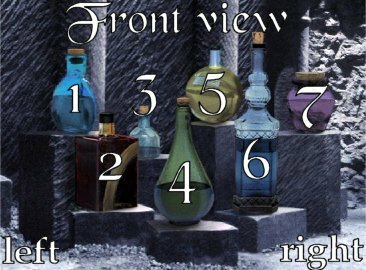 After finding the good bottle, try the other ones and read Snape's "comments" about those choices!! Note: Do not steal my idea. 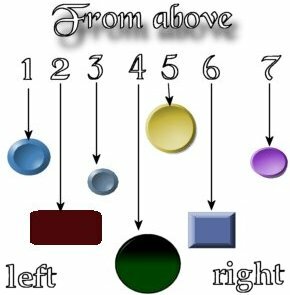 as well as on the graphics to make the riddle accurate. So if you love this, link directly to this page! bottles standing on it in a line. "Snape's," said Harry. "What do we have to do?" black flames shot up in the doorway leading onward. They were trapped. "Look!" Hermione seized a roll of paper lying next to the bottles. "At least, Qui-qui-quir- Quirrell will be surprised to see this one! Defense against the Dark Arts teaching talents! If so, he'll need a second head to solve this one for sure!" the very last thing he felt like doing. "Brilliant," said Hermione. "This isn't magic -- it's logic -- a puzzle. they'd be stuck in here forever." Bottles are placed from a "left to right" perspective, not a "two-row" perspective. 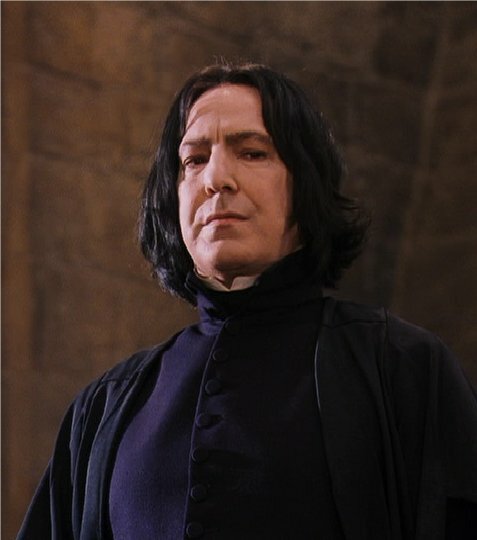 read what Snape thinks of your judgement! How long did it take you to solve the entire riddle? (Disclaimer: This portion of Harry Potter and the Philosopher Stone is J.K. Rowling's intellectual property. 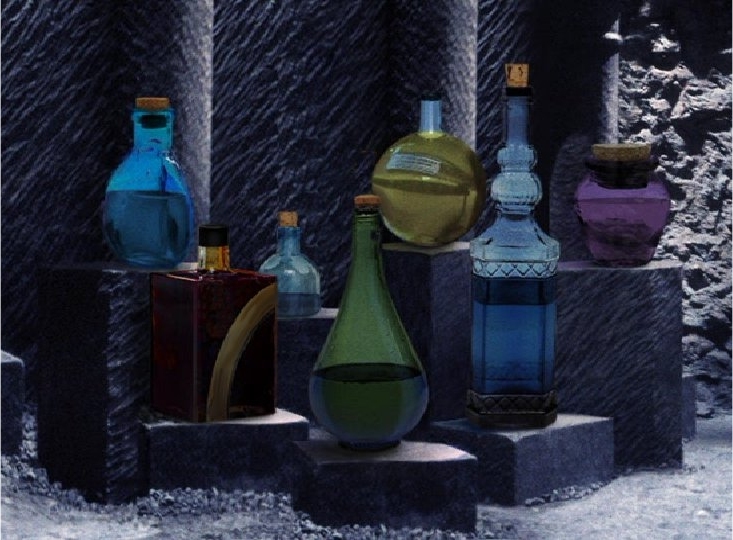 The bottle image comes from Warner Bros Harry Potter DVD. I only made some visual changes to make it fit Rowling's original description.